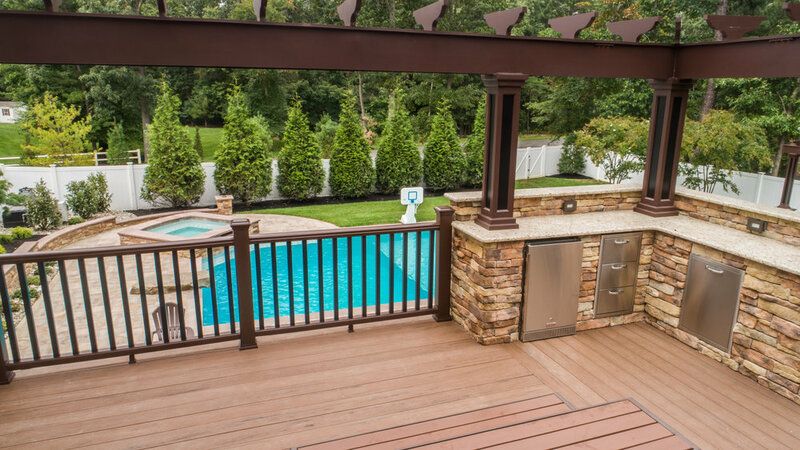 South Jersey's premier custom designers and builders specializing in hardscaped patios, outdoor kitchens, pavilions, decks, paver patios, and more. Family-owned with over 30 years' experience in residential and commercial design: barbecue, bars, built-in coolers, grills, outdoor kitchen appliances, fireplaces, pergolas, vaulted ceilings, and more. Featuring premium materials: shiplap, distressed wood, post and beam construction, ceramic tile, wood-look tiles, old-world style timber, rustic features, and more. Call 856-218-8911 for your in-person estimate! Celebrate life with friends and family in every season. 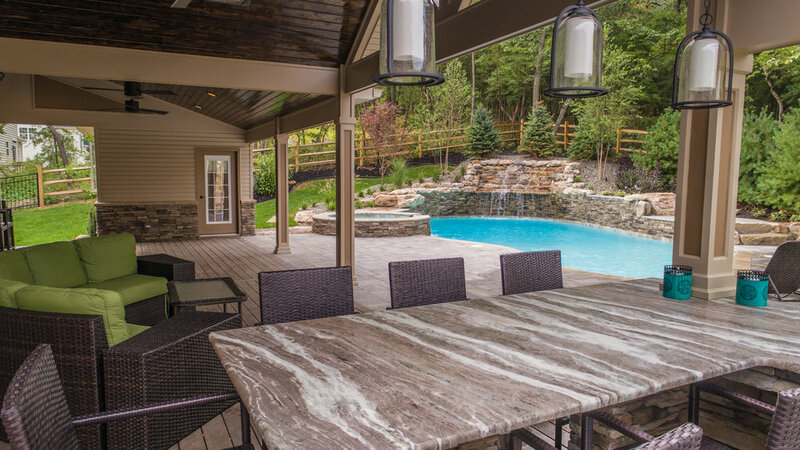 You can host the best backyard barbecue in the neighborhood with our custom designed outdoor kitchens and hardscapes. Let The Burpee Group upgrade your patio area with your favorite grills, appliances, and cooking equipment, and you'll be enjoying a totally new lifestyle in no time. Add value to your residential or commercial properties with one-of-a-kind hardscaping and outdoor kitchen features by The Burpee Group. Fall in love with natural stones, decorative patterns, and custom designs. Pair your custom hardscape with landscaping elements to completely complement your outdoor space. Trust your home environment to professionals with over 30 years of experience! No longer does the fun need to be moved indoors after dark! Upgrade your commercial or residential pavilion with a beautiful outdoor fireplace. All of your friends and customers will feel warm and welcome, no matter the season! A modern, formal, or classic-looking fireplace is the perfect addition to your hardscaped outdoor oasis. It will easily compliment your in-ground pool! Enjoy a fun day outdoors followed by a romantic evening with that special someone.